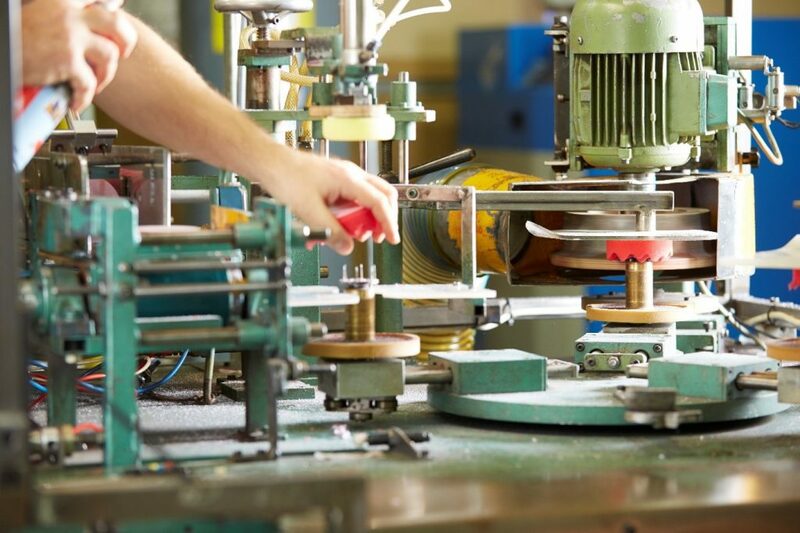 No one needs to be told about the benefits of automation in manufacturing processes such as Computer-Aided Manufacturing (CAM). It’s fast and produces consistent products again and again. But many businesses forget that computers and CAM are only as good as the people who program them. This article explains the important role of traditional engineering skills in manufacturing and how computers complement human abilities rather than replace them. I’m Duncan Geddes, MD of Technical Foam Services. I’ve worked in the manufacturing sector for 30 years, collaborating with businesses big and small to bring their foam-based products to life and get them to market. 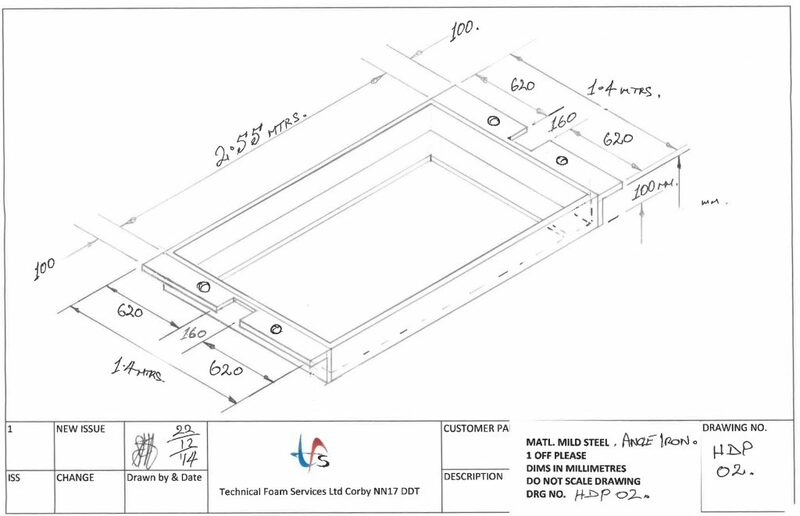 30 years ago, drawings for products would arrive by post. 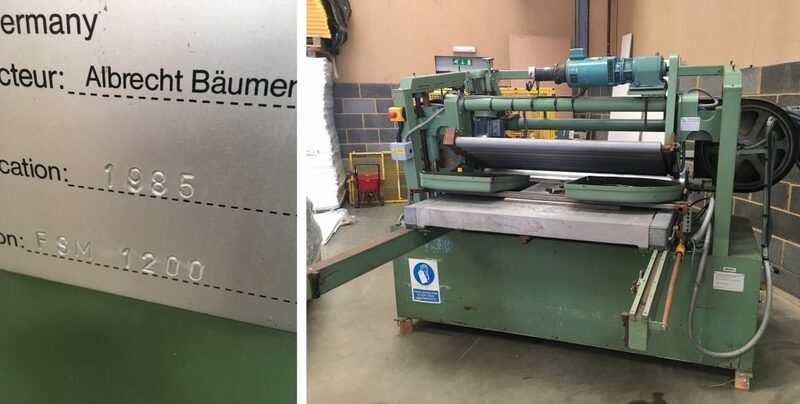 These were then sent on to an external toolmaker or engineering company where mechanical or electrical engineers would make the machine to create the product. All from paper drawings. We don’t use hard drawings anymore – no telex or fax. Everything is emailed or sent via the cloud. It’s been that way for 10-15 years now. The generation of design engineers – who are mainly under 55 – can produce an incredible range of designs because they can use CAM, CAD and other software. These engineers are comfortable interpreting that kind of software and turning it into a cutting or machining program or tool. Technical Foam Services bought its first CAM machine 20 years ago. It was a travelling head press that had a nesting program. This meant we could interlock shapes to cut more pieces per sheet and reduce waste. We saved money on raw materials that could be passed on to the customer. That machine is still going strong. 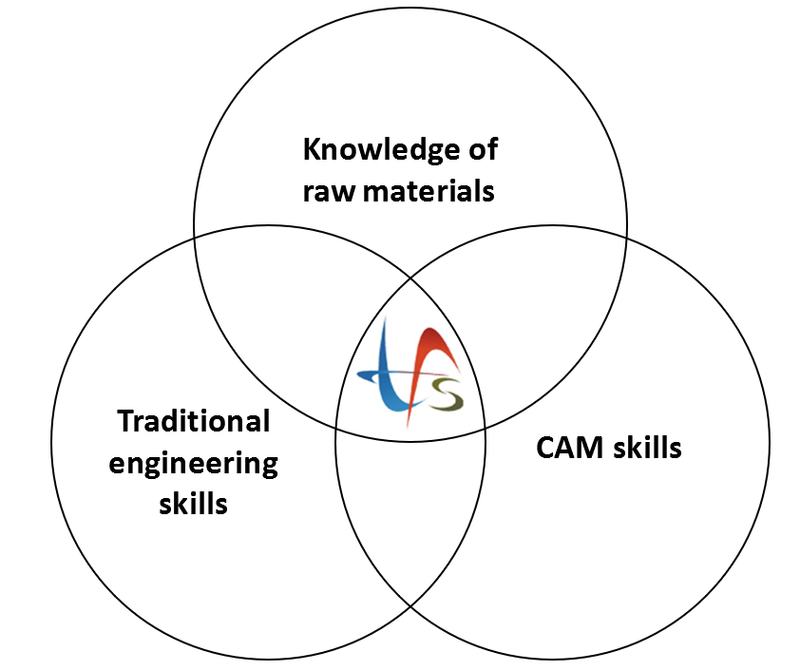 CAM is the future, but we’re still in a crossover period where there is an important role for traditional electrical and mechanical engineers. There are many of these engineers in their mid-50s and up, who are not so comfortable using CAM software and still prefer working from hard drawings. These people have been working for 30 to 35 years, can still build basic machinery and don’t use computer-based drawings. Both skillsets have important and valuable roles in British manufacturing – especially when working together. Everyone knows the benefits of automated machinery: they’re fast so they’re cost-efficient, they can reduce waste and they can produce a consistent product at scale. That consistency is key because lots of business is repeat business. For example, we might make 1,000 polishing pads a month. Our customer wants to make sure that every monthly delivery is exactly the same, month after month. CAM gives you that consistency. You must, however, still have a manual check when you start that process each time. Each CAM machine has a computer inside it defining mechanical actions and processes. Many machines are built around the computer. The skill is programming the process into the machine to deliver the product, rather than building a mechanical process and the hardware to do it. There are no doubt large businesses where customers can feed data and specifications directly into the machines for certain items. Computers have gremlins, and every so often something happens: the weather affects the temperature of the raw material or some other factor that can impact the material or process. You can’t assume that the machine is going to get it right, so need a human to check it’s set up appropriately each time. 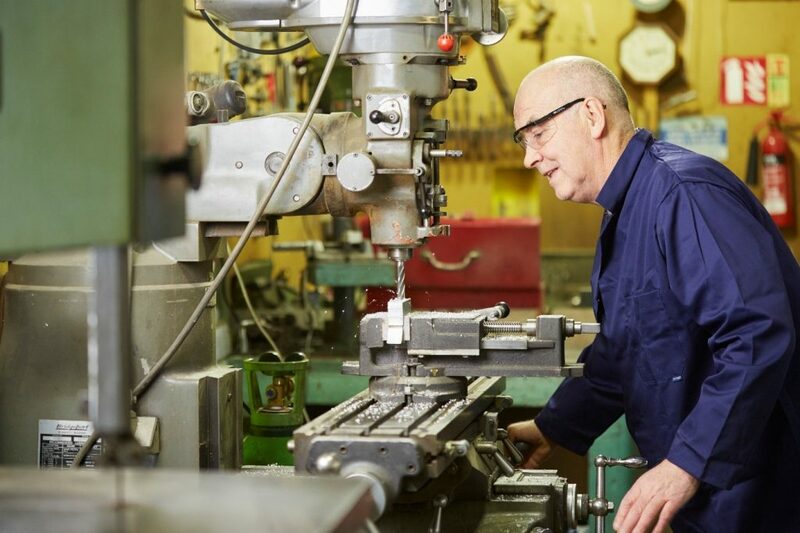 Having engineers who can design and build machines is important for a key aspect of manufacturing – one in which we specialise – and that is prototyping. When producing a prototype for someone, we need to create a process and even tools to build it – routing, tooling, grinding tools. Foam is a relatively low-cost material so customers will usually spend hundreds rather than thousands on the initial prototype. It’s not like injection mould tooling where companies could expect to spend £10-20k on a prototype tool. If you only have CAM software and machines, this can be a long and expensive process with lots of trial and error. CAM is great at producing lots of perfect replicas quickly, but it isn’t great at doing bespoke processes for small runs. That’s where engineers come in. Traditional engineers are able to take preliminary drawings and build the basic machinery and/or tooling to produce those prototypes. This is a valuable skill for an SME like us, because it gives us the ability to produce prototypes without spending a fortune. This important advantage gives us a competitive edge over our larger competitors who only have CAM and CAM skills. And we can only do that because of the skills of our long-standing engineers. Here at TFS we have an engineer with 40 years’ experience. He’s a traditional, hands-on mechanical engineer. He’s brilliant at taking a prototype or an idea, going into his workshop and producing tools and cutting machinery to produce a quality prototype. But that’s only half the job. He works with a couple of younger engineers that know CAD and cutting programs. These guys take his prototype and the customer’s drawing and prepare for production volumes using our CNC machines, milling machines and knife-cutting table – all of which are computer orientated. These engineers – typically in their 20s to 40s – get the best out of the machines but they need the mechanical knowledge of the traditional engineer to do the early work. Humans and machines. It’s not an either or. There are roles for each and they’re both important. In the foam industry, traditional skills come in particularly useful because of our raw material’s characteristics. Foam isn’t like wood or metal or concrete and working with it is considered something of a ‘black art’. Foam converters – such as ourselves – need people with very specific knowledge of the material to be able to create foam products or products that include foam. Some of the materials have a weight of 10kg per cubic metre. You could lift that with one hand. So, when you’re cutting foam to close tolerances, the machines have to be run precisely, and the foam has to be fed into the machine very carefully and gently. Foam is elastic, so if you’re not careful when cutting big sheets, you can get an item that’s the wrong size. That’s why foam converters need engineers who understand foam’s qualities and characteristics, so they can create the initial tools and machines to ensure the CAM programmes are correct. For example, if you put two different types of foam – polyurethane and polyethylene – into a machine, you’ll get two different finished sizes and finishes from the same machine. To get the same result, you might have to change the cutting speed. 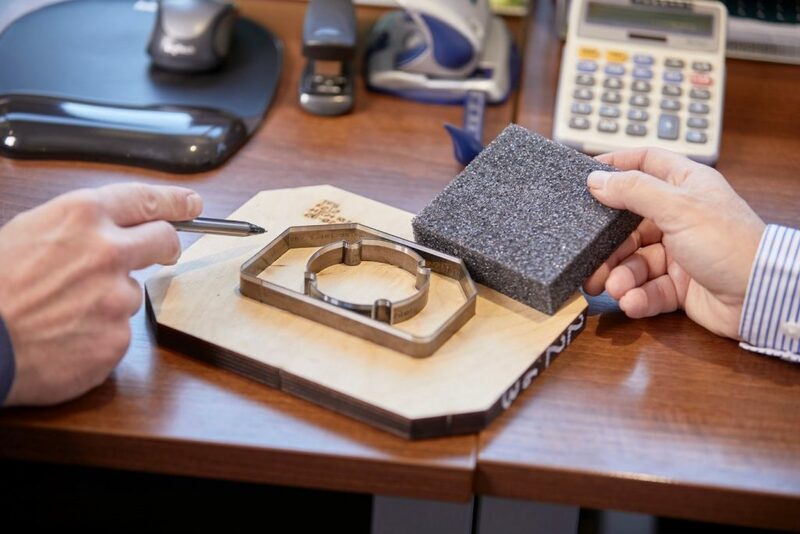 That’s when you need traditional engineering expertise combined with knowledge of the raw materials. Computers are great, but they can only do what you ask them to. That’s why CAM is as good as the person putting the information in. Unless you’ve got good humans at the earliest stages, CAM is useless. The best engineering department will be a blend of traditional mechanical engineering with a modern-day computer-based education in engineering and a comprehensive knowledge of the raw materials. Investment in CAM is the way forward, but we still need traditional engineering skills – and there are fewer and fewer people who have them. As the people with those skills retire, so too do those skills. We know the value of traditional skills, that’s why we value our mechanical and electrical engineers. There will doubtless – and hopefully – be advances in CAM. For example, it may get better at prototyping and the interface with people and desktop computers may become easier or have expanded abilities. But, for us, the main developments are coming from the raw materials – the foam industry itself. It is these developments that drive the technology because, as new foam is developed, new methods of converting are required. For example, we have a new foam which is so soft you can’t cut it by traditional methods. So, we have to work out how to cut it! And machines can’t do that, only people. The people tackle the problem and teach the machines. New types of foam are hitting the market all the time, so we’re always coming up with new applications and ways to produce foam products, often working directly with our customers on new products and prototypes. Thanks for reading. I hope you found the article interesting and useful. If you did, why not share it with your LinkedIn network? 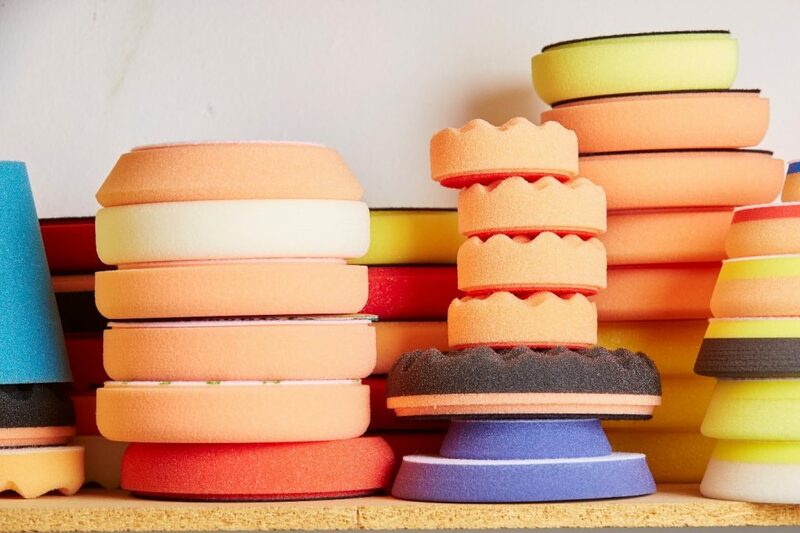 If you are developing a product that uses foam, you can always give us a call to help you with any of the aspects addressed in this article. Find out more about Technical Foam Services here and you can follow me on LinkedIn for more articles like this.